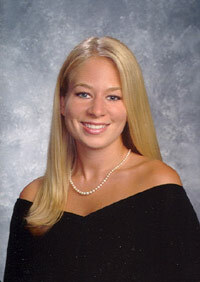 Natalee Holloway, 18, 5'4'' 110 lbs, blond hair, blue eyes, a graduating honor student at Birmingham, Alabam's Mountain Brook High School was on a senior trip with classmates in the Caribbean island of Aruba. She was last seen Monday, May 30, 2005 at approximately 0130 hours leaving Carlos 'n' Charlie's nightclub in Oranjestad. After missing her return flight home, Natalee's passport and luggage were discovered her hotel room. Foul play is suspected. it is possible that she may have been taken off the island against her will. There is a $250,000 reward for information that solve this case. If you have any information regarding Natalee, contact the FBI Tip Line at 1-877-628-2533 or dial 9-1-1 for emergency. Natalee Holloway and the Investigation of Joran Van der Sloot and the Kalpoe Brothers. Aruban prosecutors are investigating new information by a Dutch crime reporter who secretly recorded conversation with Joran van der Sloot allegedly giving details about the disappearance. Tip: Some of the options to find a person is to talk to other people involved or look up addresses of their previous residence. America's Most Wanted-Missing Persons --News and updates on missing persons. Report a tip. Let's Bring Them Home, a national missing adults program provides services and coordination between government agencies, law enforcement, media, the families of endangered missing adults and safety education for all ages. Outpost for Hope offers resources, tips and support. The Salvation Army's Missing Person Service is to reunite people in families who wish to find each other. The Doe Network assists in solving cold cases concerning Unexplained Disappearances and Unidentified Victims from North America, Australia and Europe. ID-Wanted.org -- Intended for Law Enforcement use in indentifying unknown individuals, locating fugitives and missing persons. Images may be disturbing or offensive. Canadian officials investigating a case involving 50 missing women have made an arrest. In custody, pig farm owner Robert Pickton, charged with two counts of first degree murder. Police say there are many questions that remain unanswered.